REVEL races seek to be gracious guests in our host communities. We donate a portion of each participant's entry fee to local groups whose goals align with ours, such as health-related or environmental nonprofits. 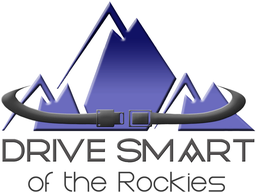 REVEL Rockies is proud to donate proceeds from your registration fees to Drive Smart. Drive Smart of the Rockies is proud and grateful to be the chosen Official Charity of the Revel Rockies and to be actively participating as course marshals to protect runners in the shared goal of a safe, fun and successful marathon and half marathon for everyone. Drive Smart of the Rockies is a non-profit organization dedicated to preventing transportation related crashes, injuries and fatalities. We achieve this through educating all generations of drivers and passengers; changing attitudes, behaviors and practices leading to cultural change, safer roads and saved lives throughout Colorado's communities. Everyone has a part in keeping our roads safe.